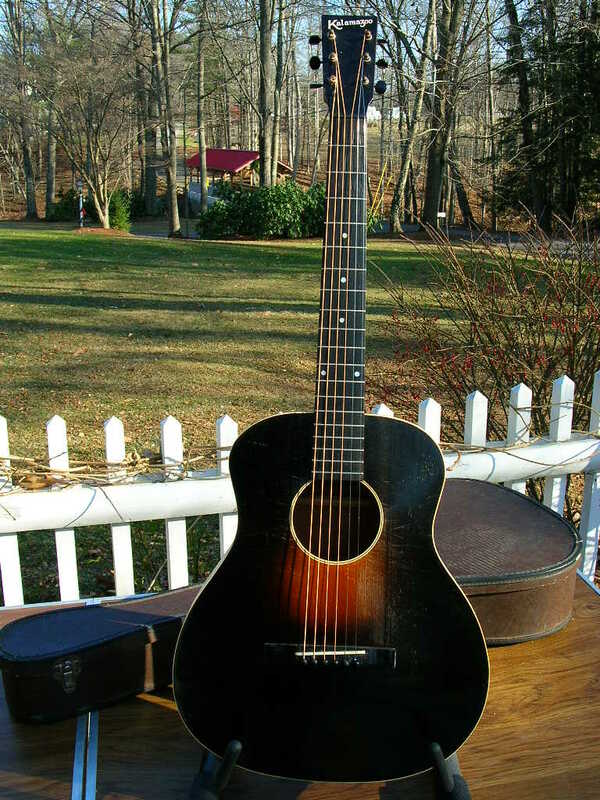 1934 Gibson-Kalamazoo model KG11 Guitar. All there and all original and such the naughty little girl. Acknowledged by both players and collectors as one of the very best finger picking blues guitars ever made! 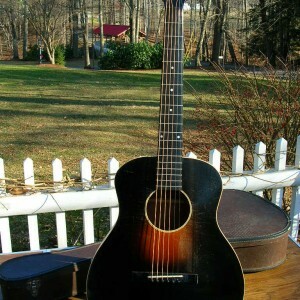 To my way of thinking, the KG-11 was one of the best ideas Gibson ever had. I have never heard a bad sounding one yet. Loud and punchy and great for finger style country blues picking. Some honest play wear and scratches otherwise a very clean great sounding crack free example. Recent neck set and set up with action set at 3-2 taken at the 12th fret. New black Guardian plush green interior hard case included.